400-410 standing, 320 seated with rectangle tables, 200 seated with round tables. 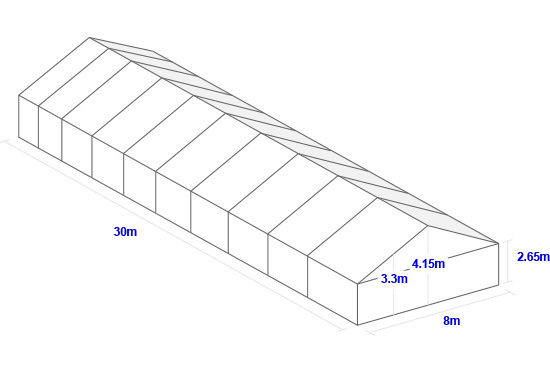 Delivery and labour to erect and dismantle the marquee are additional, please call or email for an itemised quote. Walls are an additional $30 each.